LMCC’s Arts Center at Governors Island. Photo: Zachary Tyler Newton. 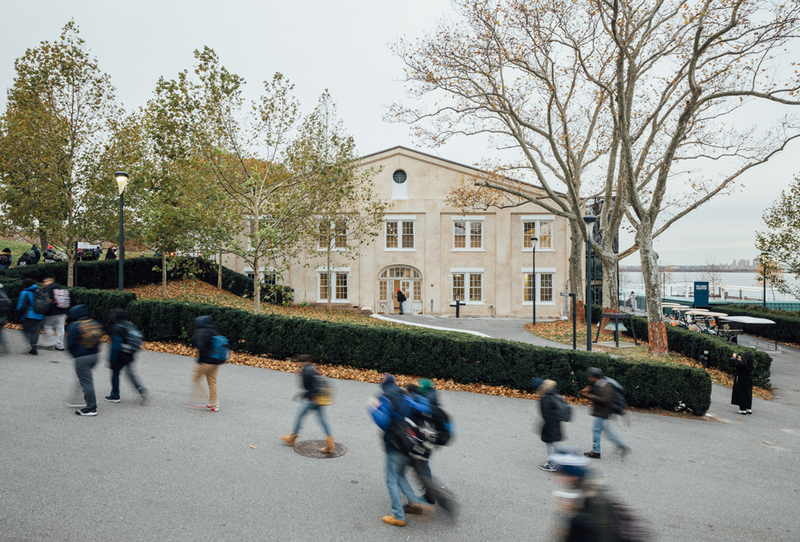 The Lower Manhattan Cultural Council (LMCC) announced today that it will open a permanent arts space on New York Harbor’s Governors Island in September. Conceived as an incubator for artistic innovation and a public space to engage in cultural dialogue, LMCC’s Arts Center at Governors Island will be housed in a forty-thousand-square-foot nineteenth-century building and will host artist residencies and a range of other programming. LMCC partnered with the Trust for Governors Island to revamp the venue, which was a former ordnance warehouse and military office space. Its inaugural season will include the exhibition “Michael Wang: Extinct in New York,” which will delve into Wang’s ongoing investigation into the ecology of New York Citythe artist will exhibit plants that were native to the area but were wiped out due to climate change and urbanizationand a large-scale installation by Yto Barrada. The Moroccan multimedia artist will examine the environmental elements threatening Tangier Island, Virginia; the colonial past of Tangier, Morocco; and the military history of Governors Island. The arts center will be open to the public from September to October 2019 and will reopen in May 2020. More details about its programming will be announced in June.